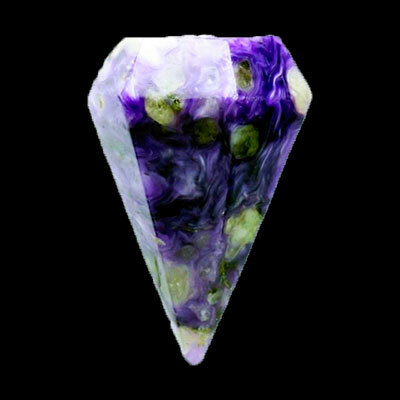 Charoite is a member of the Silicate family. 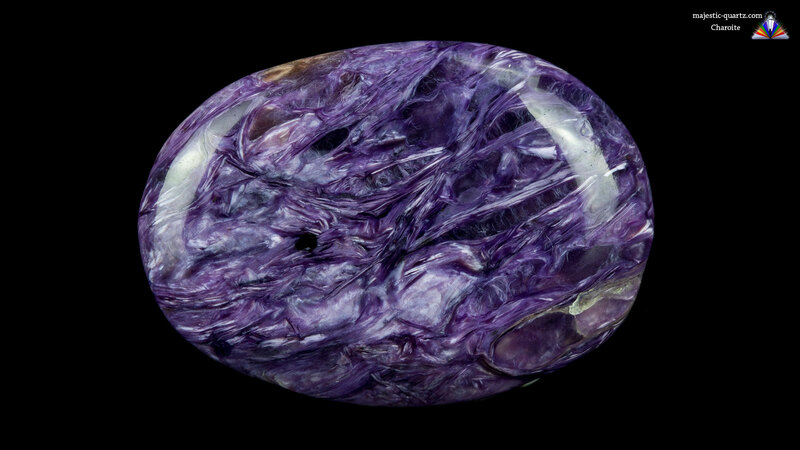 It comes in both massive and rarely crystalline form, with color ranging from Purple with white/black. Read more about Charoite healing properties information and view photo galleries and high resolution desktop image below. Soothes Hot Emotions. Helps One Let Go. Head Aches, Liver Related, Blood Pressure Issues. This stone cleanses the auric body . It opens you up for unconditional love and the balance that it brings in ones life. 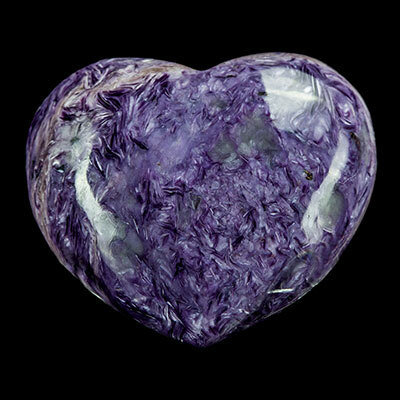 Placing Charoite on the third eye ensures creativity is greatly enhanced – in all it’s forms. Charoite has great alchemy properties. It is a very, very powerful tool for transformation and change across all our realms of existence. 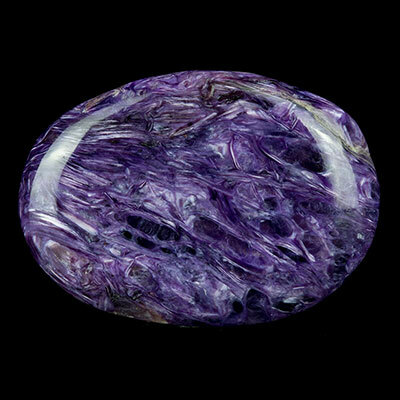 Charoite is also very effective as a massage tool in wand, egg or sphere form. It was discovered in the Charoite river region in Russia in the 1980’s, unfortunately it was mined out quite some time ago now. There is some in warehouses, but no one is really sure how much is left. 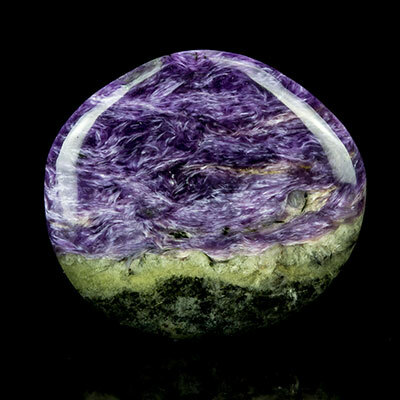 Click the Charoite images below for a high resolution photo! Do you have a personal experience, question or information pertaining to the crystal healing properties and meaning of Charoite? Please feel free to use the comments form below to share your knowledge with the Crystal Information encyclopedia. Please note, we moderate this feature to keep the site free from unwanted spam. 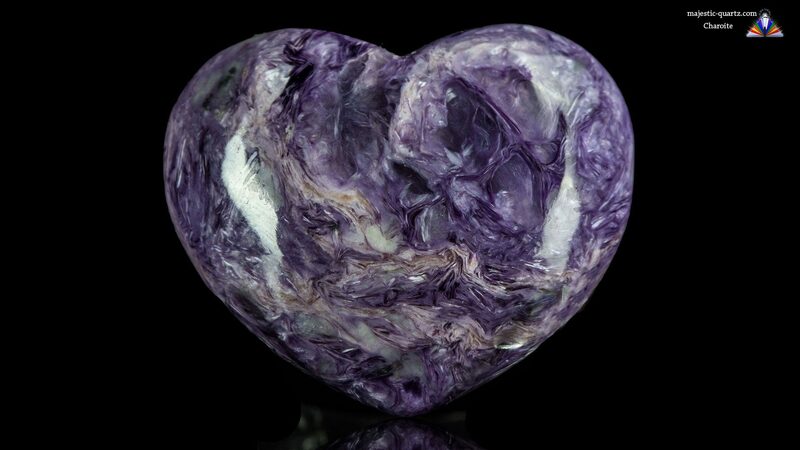 I would like to share with you about charoite healing properties that People who work away from home, Charoite are best for their work connections and for those who live alone with a few contacts with others. Also, helps out in overcoming with emotional loneliness and separation from life, and fears of ill-health, pain, and death. It is a supporting crystal for those who care for the sick or aged and for those who adopt children, In maintaining a bond with their behavioral difficulties.